Can’t you just picture yourself living here? I know I can! “Cottages houses like what we feature today have been romanticized since the early fairy tales of Little Red Riding Hood and Hansel and Gretel and have a way of infinitely reminding us of gingerbread houses, and cookies, and sugar! What makes a cottage so distinctive from other small homes is its dark thatched roof, and the way it envelops the cottage like melted cheese. (funny how cottage cheese looks nothing like this) These homes were traditionally built by a waterfront and made out of logs or other natural materials. 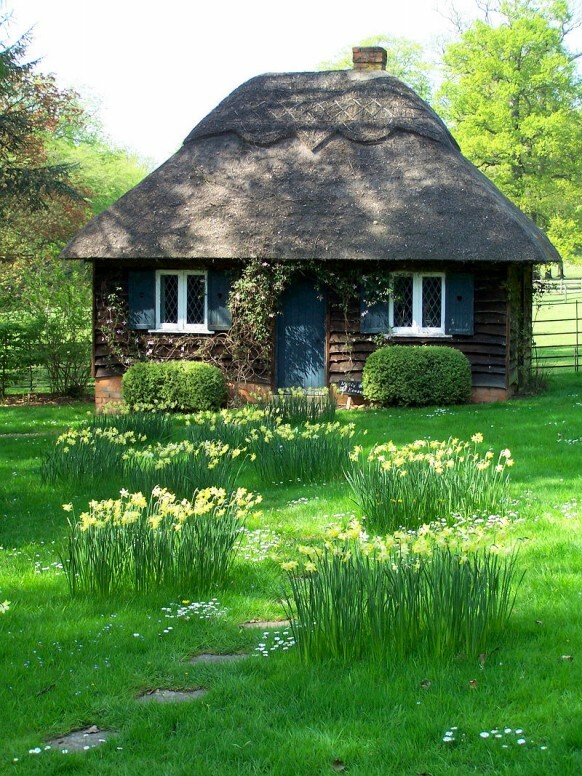 Also known as a cabin, they were used as a way of modest country living, but are now more popular as weekend and summer homes for city dwellers who are looking to get away. So the next time you stay in a cottage estate for your summer vacation, remember who inspired you!